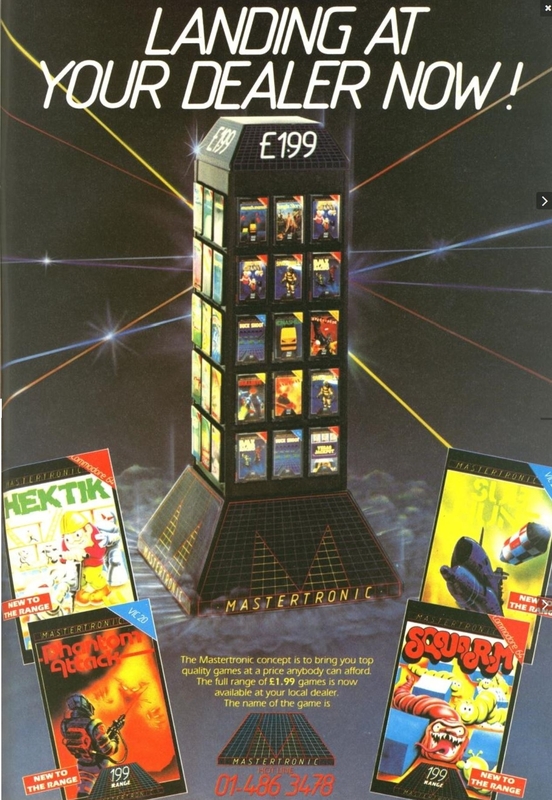 Mastertronic rarely advertised in the early years but here is a remarkable exception, a full page colour ad featuring the dealer pack. This ran in Personal Computer Games, June 1984. It did not result in very much editorial coverage, though.